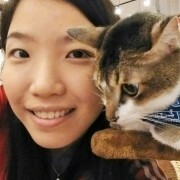 We consider ourselves a big family at The Cat Cafe, apart from taking care & of course playing with cats, we are foodies by nature and enjoy pushing the limits to make an awesome cup of coffee, hot chocolate as well as sourcing for the best cakes in town to make The Cat Cafe ~ The Purrfect Coffee Place. Beyond cats and food, we are a bunch of fun loving folks that enjoy perpetually staying in the cafe as it has become our 2nd home with the cats as our extended family. Candice, the brainchild of The Cat Cafe. Her main priorities are keeping checks of all the cat’s well-being and ensuring they are happy and in good health condition. Creating a safe, educational and comfortable place for all patrons to interact with the lovely ex-shelter/ex-stray cats have been a dream come true for her. Jefferson is the Geek in the cafe, in his free time he tinkers with the coffee machine, cafe IT system and even teaches a few selected cats to do some friendly tricks such as High 5. We are looking for dedicated Part timers. 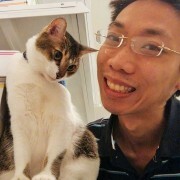 Come join us if you love cats and like to work in a fast pace environment. Only Singaporean and PR may apply. Dream to start your own cafe one day? We now offer internship to both poly and university undergrads. In our intership program, aside from helping out in the cafe and learning the tricks of the F&B industry, you will be mentored by our founders to get deeper insights on how to start your own businesses. Able to work at least 2 months consecutively.